From a ship, we can see many views on the water surface. Waves, islands,sometimes rubbish, birds, jellyfish, fish, large tank ships, fishing boats. At the same time, there are many creatures beneath what we see. Ships I will board one day, and the ships I have been on, I suppose there had been many living things I unknowingly shared a journey with (perhaps above the ships as well as beneath). 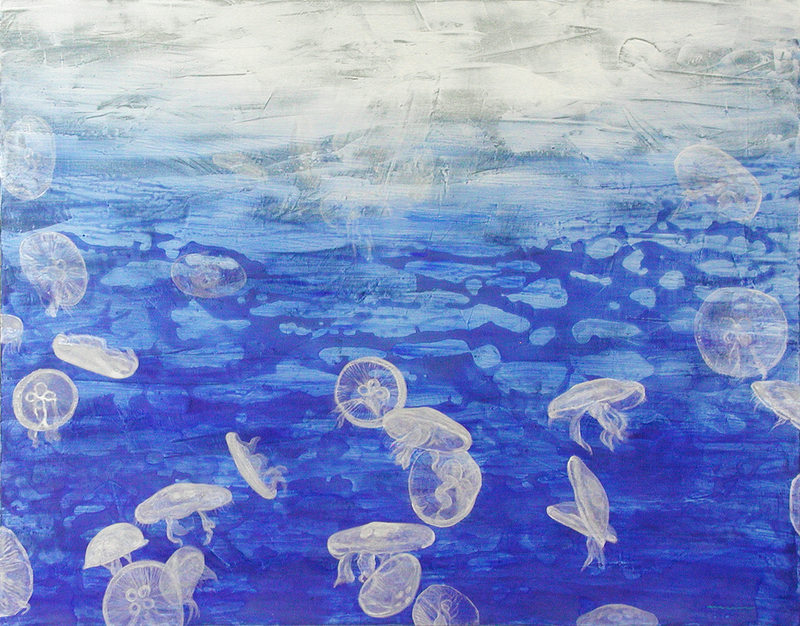 I drew jellyfish in the sea, wondering.